We couldn’t be more honored to be included and excited for our dance partners, Traction Company, for this huge accomplishment. NAPOLEON’s exhibition inside the exhibition. Traction Company is a 12-person artist collective and studio in Philadelphia founded by, and entirely composed of, PAFA alumni, faculty and staff. Since 2007, members of the collective have congregated once a week to work out of a studio built in a former trolley manufacturing warehouse, both on individual projects and occasionally on collaboratively-made pieces. Their most recent group piece, subTRACTION, is a 1:6 scale miniature of their studio, made completely by hand and displayed at NAPOLEON gallery in November 2013. 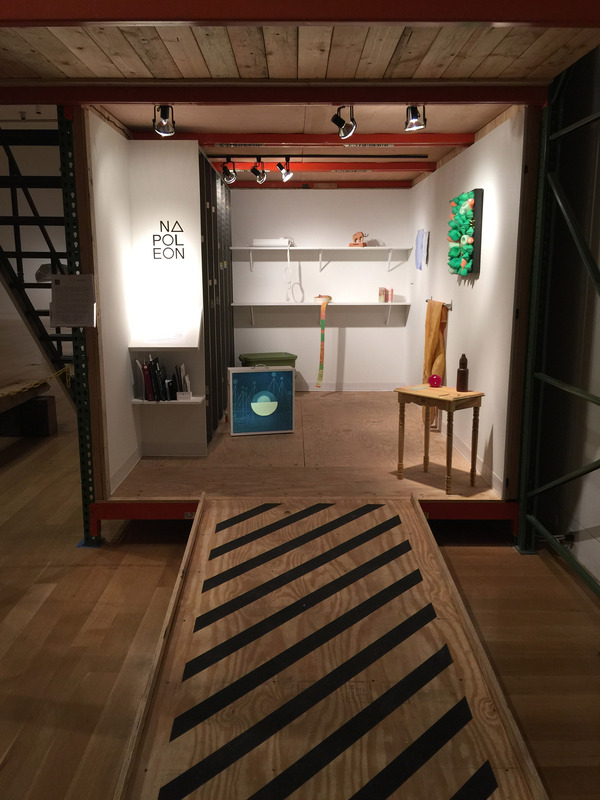 The Philadelphia collective NAPOLEON has installed an exhibition within the larger Traction Company exhibition in one of the modular studios. For their installation at the Pennsylvania Academy of the Fine Arts, Traction Company will build from their experiences making subTRACTION, which will be included in PAFA’s exhibition. Working within the Fisher Brooks Gallery Space, the collective will collaborate on new group pieces, including a full-scale recreation of one of the Truss structures from their studio. The exhibition will also include works made by the individual artists.